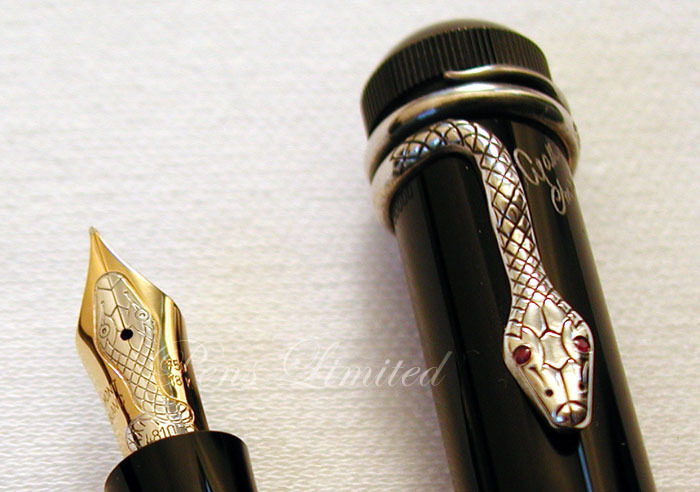 I don’t know what it is about snakes, but people sure like this pen. Well, maybe its the author, or more likely both. Aside from the snake clip this is as plain as it gets in the Writers series and maybe that’s just what people like. The pen has appreciated well. 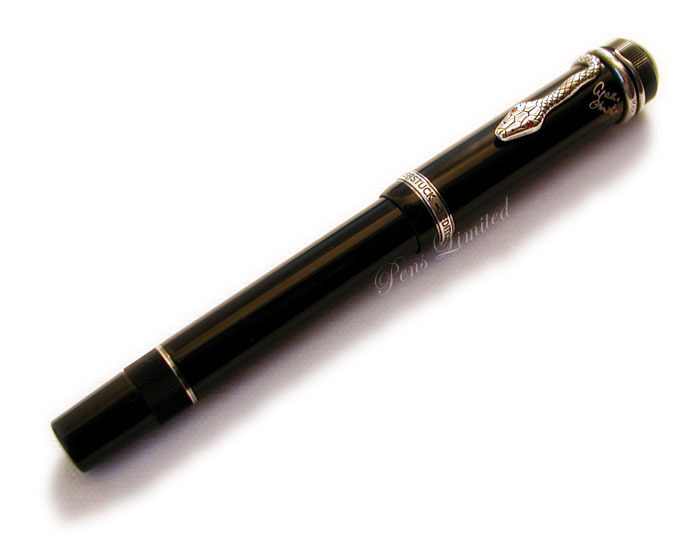 It is currently a very difficult get your hands on this Montblanc Writers Series issue. One thing odd about this series is that in the 3-pc set, the ballpen is packaged separate from the fountain pen and pencil. Also, you may find 2-pc sets for sale. 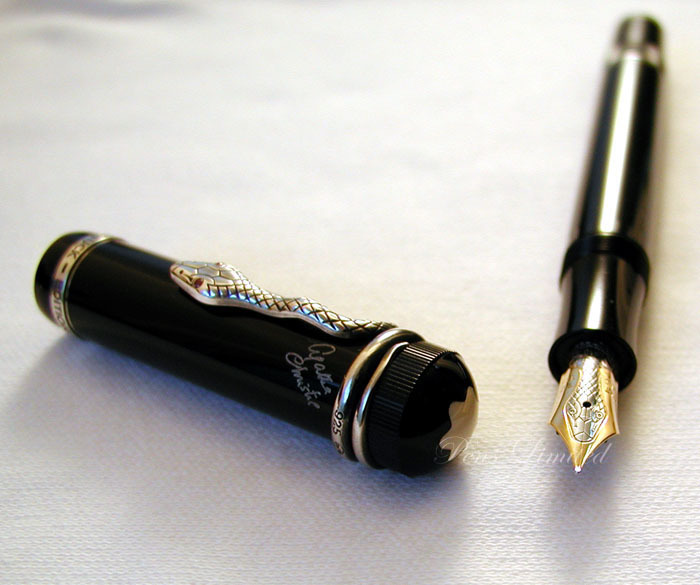 The reason for this is that many people have split up the sets and sold the ballpoint separately because of its high value. The Agatha Christie also came in a special edition in which the clip is gold vermeil with sapphire eyes, limited to 4,810 pieces.